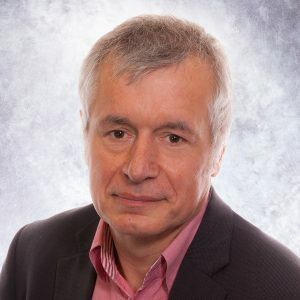 Paul is a recognised pioneer in the field of Regenerative Medicine and has over 25 years’ experience in the US and UK in the commercialisation of various Regenerative Medicine and Cell Therapy products in both public and private Companies. 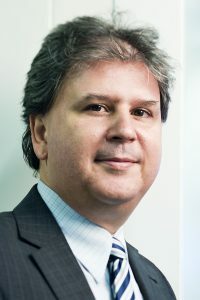 Over the years, he has built a successful track record in all aspects of the business, from carrying out translational research, in-licensing technologies from Universities and out-licensing products to a variety of HealthCare Companies, designing, obtaining regulatory approval and running clinical trials in the US, Canada, UK and Europe, designing, building and operating GMP facilities, founding biotech companies, and launching, marketing and selling cell based products in the US and UK. When at Organogenesis Inc he was the lead inventor on patents for the first multi-cell therapy approved by the FDA and was involved in all stages of the development of this product from the bench, through the clinical trial process, development of a licensing and marketing partnership and the eventual approval and launch in the US. This product has now treated well over half a million patients and is the largest selling manufactured cell therapy in the world. After Organogenesis Paul returned to the UK and was the sole founder of Intercytex. He served as CEO for the first 5 years and under his leadership the company grew rapidly, attracted significant VC investment from Europe, the US and Asia. During this period Intercytex developed several products that reached the clinic, including the world’s first cell therapy clinical trial to induce new hair formation and carried out with Bessam and Nilofer Farjo. Paul has numerous patents and publications in the field and is often invited to speak at International Conferences and sit on a variety of panels, grant funding bodies and regulatory committees. 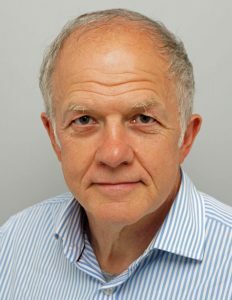 He is co-editor of the Journal of Regenerative Medicine, a co-Director of the Doctoral Training Centre in Regenerative Medicine at Manchester University and Industrial Director of Regener8. Vincent has more than 26 years of experience of applied research and product development in the fields of regenerative medicine, wound healing and cosmetics. He has worked in six different companies located in Europe, United States and China. He started his career at the Blood Transfusion Center (Lille, France) where he developed a fibrin substrate to transplant human keratinocytes to treat burns. He studied the fate of epidermal stem cells in Paris for 5 years. He then moved to Biopredic International (Rennes, France) where he developed the use of human and animal hepatocytes to for drug testing and screening. In 1997, he moved to the US to developed a new generation of skin engineered products while senior scientist at Organogenesis Inc.(Canton, Mass., USA). In 2000, Dr. Ronfard served as director of research at Modex Therapeutics (Lausanne, Switzerland) which was an early pioneer in the field of tissue regeneration, developing the use of autologous hair stem cells to treat patients with skin loss. While at Modex he was co-inventor of Allox a cell therapy treatment for chronic wounds. In 2003, he joined L’Oreal (Boston, Paris and Shanghai) where he served as associate Vice President/Director of reconstructed skin testing and development worldwide. He was recently acting as VP Cellular and Molecular Sciences at HealthPoint Biotherapeutics (then Smith and Nephew Fort Worth, Texas). Currently, he is Adjunct Professor at the School of Pharmacy, University of North Texas Health Science Center (Fort Worth, Texas) and invited Professor School of Pharmacy University Claude Bernard (Lyon, France). His main goal is to translate scientific discoveries into viable solutions for patient evaluation, treatment and care. Vincent and Paul were colleagues at Organogenesis to develop skin engineering product in the late 90’s and kept interacting over the years. Eric and Vincent have worked together on several projects related to cellular therapies. Dr Bessam Farjo MB, ChB, BAO, LRCP & SI. 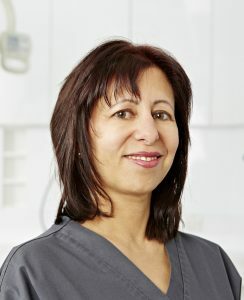 Dr Farjo qualified as a doctor of medicine at the Royal College of Surgeons in Ireland in 1988 and trained in general surgery at NHS hospitals across the UK and Ireland. Dr Farjo founded the Farjo Hair Institute in 1993 with his wife, Dr Nilofer Farjo. The Farjo Hair Institute exclusively offers hair transplant surgery and hair restoration medicine with offices in Manchester and London, and is one of the world’s leading hair transplant clinics. In 1996, Dr Farjo co-founded The British Association of Hair Restoration Surgery, and held the position of President from 2002–2004. Dr Farjo is a registered member of the Institute of Trichologists (est. 1902), and in 2000 he was appointed as a Board Governor and medical director. In 2003 Dr Farjo passed the examination of the American Board of Hair Restoration Surgery (ABHRS). Dr Farjo served as Board Director of the ABHRS 2006 – 2012. 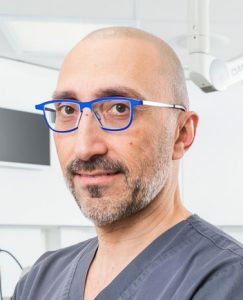 Dr Farjo served on the Board of the International Society of Hair Restoration Surgeons 2002–2009 and was the first European doctor to be elected ISHRS President in 2007–2008. He currently serves as Lead ISHRS Ambassador. Dr Farjo is also a member of the European Hair Research Society, Board Trustee of the Hair Foundation and Founder member of the Trichological Society. Over the past 21 years Dr Farjo has performed over 6500 transplant procedures. He is considered to be an expert in the field of hair transplant surgery and hair restoration medicine, and is regularly quoted in the media. Dr Farjo has over 70 different hair and scalp presentations/publications to his name, and has attended more than 70 workshops, meetings and conferences worldwide. Both Bessam and Nilofer Farjo are recognised by their peers as the only British hair transplant surgeons to make regular, educational contributions at international congresses and meetings. In 2012, they were awarded the ISHRS Platinum Award for outstanding achievement in basic science or clinically-related research in hair pathophysiology or anatomy as it relates to hair restoration. It is the only time in its 21 years of existence has this been awarded to a UK recipient. The Farjos boasts a high-profile client list that includes sportsmen, actors, business and political leaders from across the world. Eric has more than 20 years history of entrepreneurship, combining strong strategic, technological, managerial, fund-raising and deal-making experience. Eric is also a Board member of the Biotechnology company’s Bioxodes (Belgium) and PDC*Line Pharma (France) and member of the strategic advisory board of OncoDNA (Belgium), Innobiochips (France) and CER (Belgium). He was previously CEO at the cell therapy company Promethera Biosciences for 6 years. Under his leadership, the company raised more than 65M€ in capital, grants and loans. He was as well co-founder of two biotechnology companies called Myosix and Murigenetics. Myosix has been sold to Genzyme mid-2002. Earlier was as well principal of the international life sciences practice of Arthur D. Little based in Paris (France) and Boston (USA) during 11 years. Earlier Eric worked as a project leader in the corporate R&D centre of Astra-Zeneca in UK. He has been co-inventor of the first worldwide GMP approved mobile manufacturing unit for cell therapy. Eric holds two master degrees (DEA and Magistère) in Pharmacology and Molecular Biology and an MBA from ESSEC business school (Paris, France).